Exclusive Download of Better Taste, Better Nutrition, Better You! 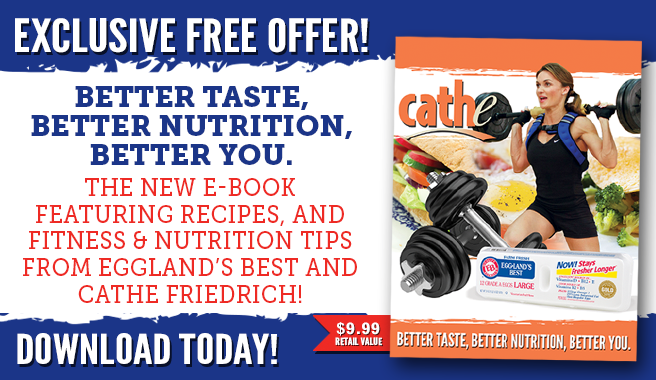 Download your copy of “Better Taste, Better Nutrition, Better You.” The e-book from Eggland’s Best and Cathe Friedrich. This e-book, a $9.99 value, is FREE for EB fans, courtesy of Eggland’s Best.